I’ve got ten bucks and seven little men in my wallet! We love a good Harveys Wallet. And if it’s got dwarfs inside, so much the better. But, have you ever seen a cuter bow made out of seatbelts? 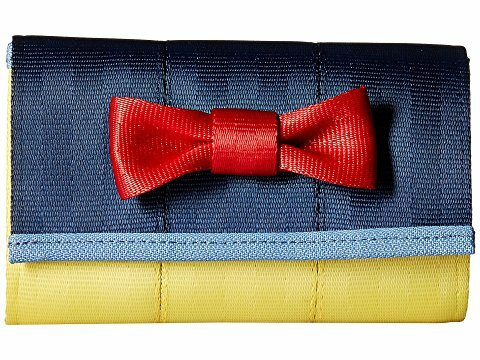 Harveys is known for their icon seatbelt bags and wallets, and we think everything about this Snow White Wallet one is the fairest of them all! And if you think the wallet’s cute, wait ’til you check out the handbag! So pretty! I do love my Harveys.